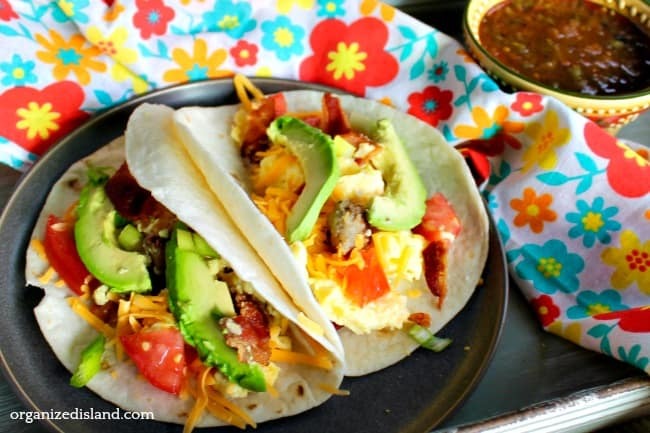 These easy Southwestern Bacon Sausage Breakfast Tacos filled with eggs, cheddar cheese, green onions, sausage and bacon are perfect for breakfast for any day, but also great when you need breakfast for a crowd. 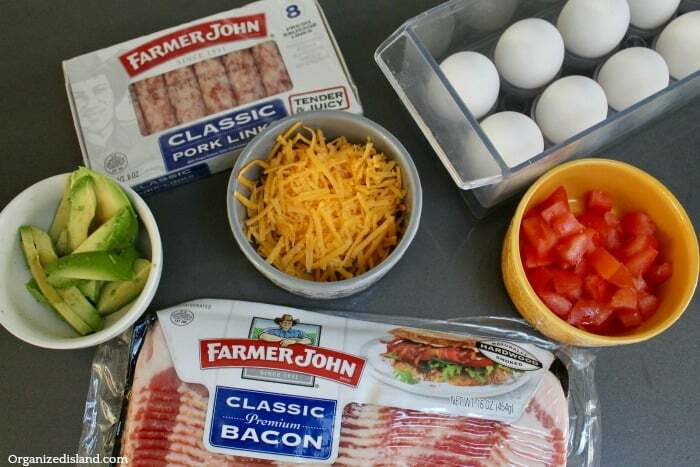 I use Farmer John® Classic Premium Bacon and Farmer John® Classic Pork Sausage Links which bring amazing flavor to my Southwestern Bacon Sausage Breakfast Tacos! Hello, friends! I hope you are having a wonderful week! I am thrilled to be enjoying all the fun that is a part of this season. I have been prepping for the upcoming holidays and I am about halfway through my holiday shopping. I try to do my shopping early so that I am able to savor the events and gatherings that happen this time of year. There is no better way to celebrate the holiday season than with good friends and delicious food. 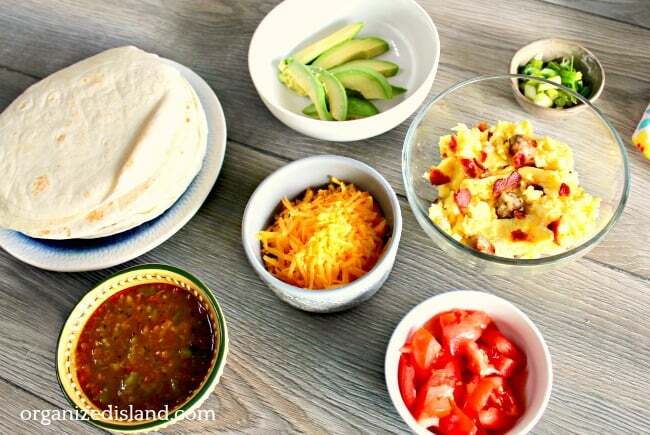 This week I picked up a few recipe ingredients to make some easy breakfast tacos. These are perfect for when you want a delicious, but easy breakfast idea for a few or a crowd.. 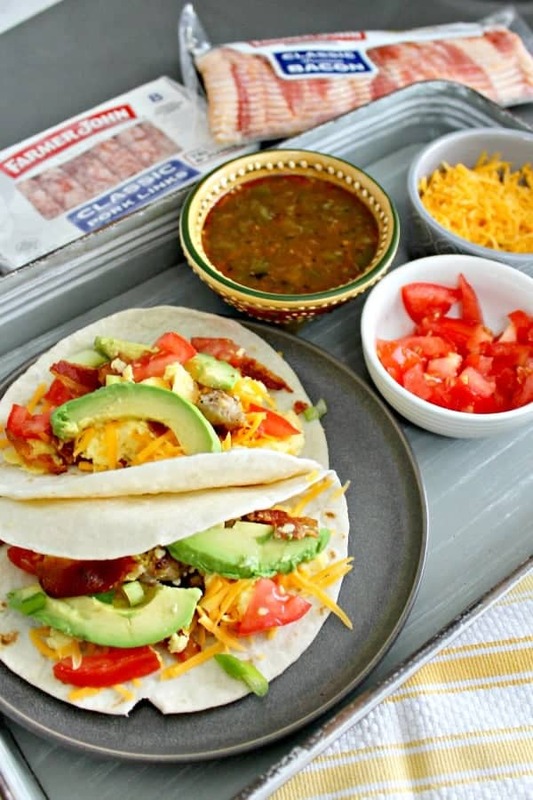 These easy Southwestern Bacon Sausage Breakfast Tacos are made with Farmer John Classic Pork Sausage Links and Farmer John Classic Premium Bacon. These are not only very simple to make, but they taste wonderful! 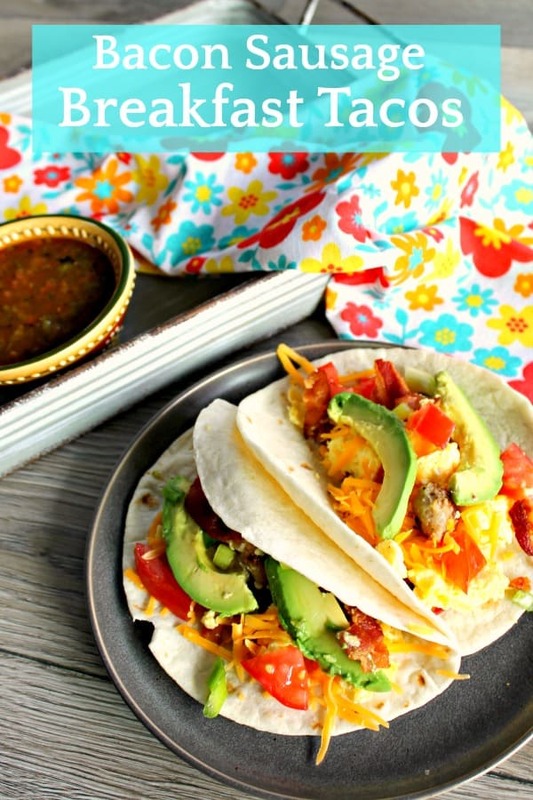 Made with eggs, cheese, onions, and savory bacon and sausage, the tacos come together quickly and easily. I picked up all of these items on my recent visit to Ralphs. Ralphs always has everything I need in stock and I can always count on them to have fine ingredients to make delicious meals. I even picked up a cute, reusable shopping tote bag on my last visit. If you are looking for an easy breakfast idea with eggs and bacon, I think you will love this recipe. 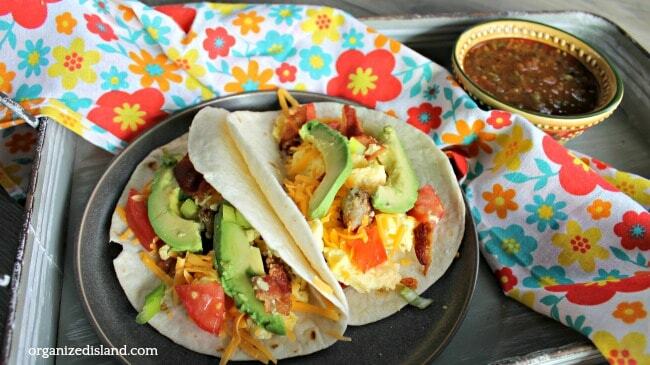 It appeals to all ages and if you have a large gathering, you can make a fun and festive taco bar for a breakfast bar. Whether you are cooking for a crowd, or just for your family, it will be a memorable, colorful, and delicious meal! I prefer using Farmer John Classic Premium Bacon in this recipe because it is naturally hardwood smoked and has a wonderful full flavor. 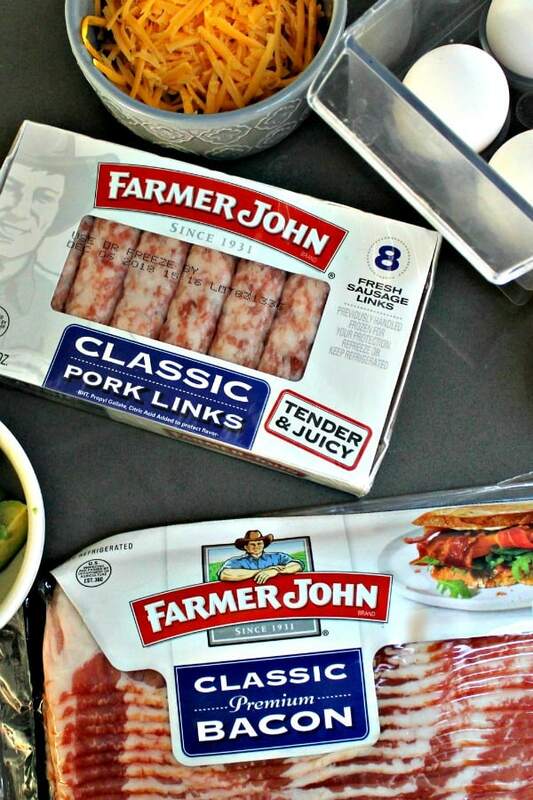 Combined with the rich flavors of the tender and juicy Farmer John Classic Pork Sausage Links, the meats together elevate a simple breakfast to a new level. 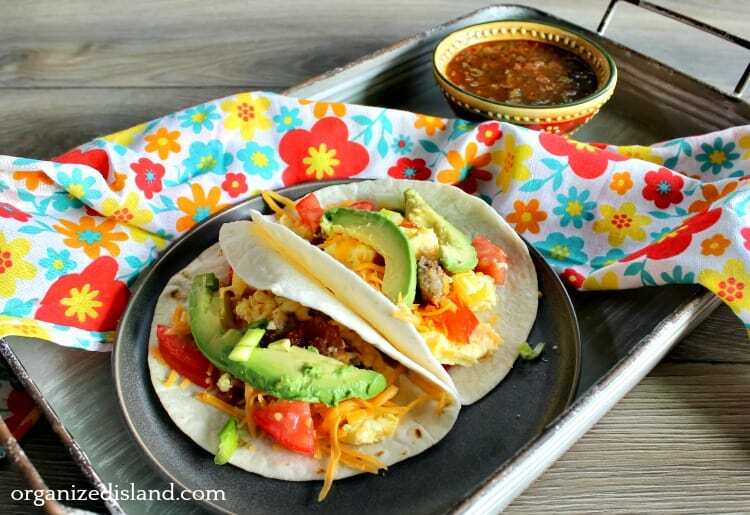 Southwestern Bacon Sausage Breakfast Tacos are also a nice change from the usual casseroles that are present this time of year. Pan fry Farmer John bacon and sausage links per package directions. While bacon and sausage links are cooking, dice tomatoes. Peel avocados and slice each avocado into eighths. Drain bacon strips and sausage links on paper towel. Chop bacon into bits and dice sausage into small pieces. Heat 1 tablespoon butter or margarine in a large skillet over medium-low heat, until melted. Scramble eggs in a bowl and add to skillet. Cook over medium-low heat. Stir slowly and gently until eggs are set. Microwave tortillas wrapped in a damp paper towel about 30 seconds, or until warm. Just before eggs set, add in bacon bits and sausage pieces. As soon as eggs are set, but still glossy, spoon into warm tortillas. Top with cheese, tomatoes, onions and avocado slices. You can bake or pan fry your bacon ahead of time, per package directions to save time. Shred the cheese ahead of time or use packaged shredded cheese. You can do this a few days ahead of time and grate extra. It saves on prep time and means less washing of the grater. Cut up the tomatoes and onions ahead of time for quick preparation. I would suggest the evening before. You will want to make this recipe the next time you want a special, but simple breakfast. Be sure to pin it for later. Gatherings with friends are a wonderful way to spend time together. While you are enjoying the holiday season, it is always memorable to share a good meal with friends and family. Be ready this holiday season with more Farmer John simple and tasty recipes here. We hope you enjoyed this easy and delicious recipe with a Southern California flair. We strive to help you find ways to make the most of your time when it matters most. If you have not signed up for our newsletter, you can do that here. Oh my goodness – yes. 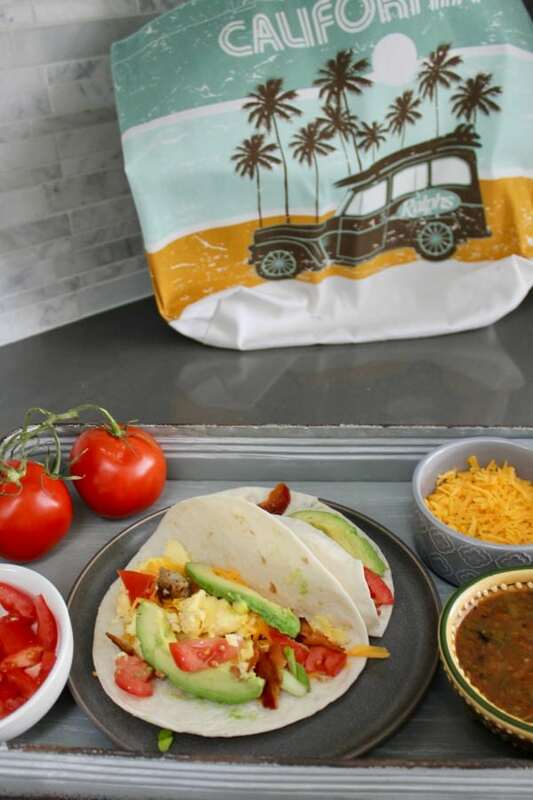 I’m all for breakfast tacos. I’m all for bacon AND sausage and definitely avocado. It’s funny – for all my sweet tooth tendencies, which you’re well versed in, I don’t have a sweet tooth for breakfast. To me, this is perfect, and maybe followed by some decaf coffee and maple syrup.